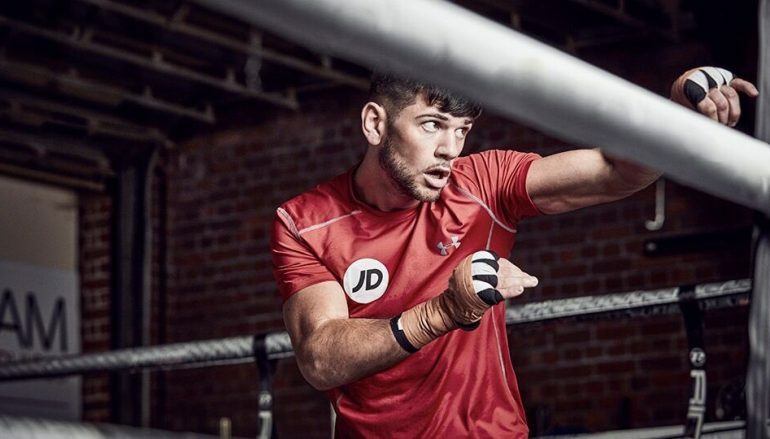 Cardiff’s Joe Cordina is a familiar face on the boxing scene in Wales, though the next fortnight could help him gain more attention than at any time since picking up a pair of gloves 10 years ago. 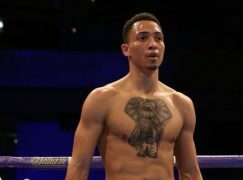 The switch-hitting counter puncher enjoyed a stellar amateur career, spending seven years at Team GB’s headquarters in Sheffield. The weekly journey was worth it, helping Cordina capture a Commonwealth bronze in 2014, European gold in 2015 and culminating in an appearance at the 2016 Olympics. The first gym Cordina entered was Llanrumney Phoenix Boxing Club in Cardiff and he then established himself under the guidance of Tony Borg at St Joseph’s Boxing Club in Newport. It was a mild surprise when Cordina announced he’ll turn professional without Borg, instead opting for Tony Sims’ Essex base. Explaining the recent decision, Cordina said: “There was no conflict at all. I get on with Tony [Borg], Junior [Borg] and all the other coaches [at St Joes]; Billy [Reynolds], Roger [Williams]. I get on with all of them. It was just something, for me, I had to do. “I needed a change and for me to get to world title level, I needed something different and something to add to my arsenal. I think being with Tony Sims, I can go all the way and he can add certain things that I need in my toolbox. 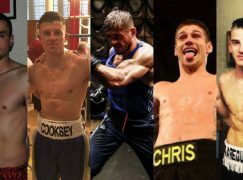 Nowadays, Cordina trains alongside domestic contenders like Ohara Davies and John Ryder with former three-weight world champion Ricky Burns leading the pack. While the father of one is used to long distance commutes, camp life in lonely hotel rooms has been a more difficult aspect to mentally adapt to. Cordina said: “It’s a bit different because at GB, you’re always with the boys. You’re having a craic, as well as training hard and you’re in camp life together. In Essex as a pro, you’re on your own. You train and go back to the hotel, you’re on your own. You rest, go back to the gym, you’re on your own again, especially when your family isn’t with you. Cordina’s switch also means he’s no longer surrounded by Team GB’s vast network of experts, which is equally as important as the social benefits of being amongst a squad of boxers all in the same shoes. However, the aptly named ‘Welsh Wizard’ is confident he’s retained enough of that support system to be successful. He said: “I was on the GB squad for so long and got to know a lot of people, so I’ve built up a relationship with a lot of physios, psychologists, nutritionists and people. It’s not so hard to get in touch with any of them. Matchroom Sport’s Eddie Hearn has been a long-term fan of Cordina, taking to Twitter on a couple of occasions over the last few years to subliminally signal his interest. There was no serious contact between the two parties prior to Cordina’s final appearance in a GB vest. 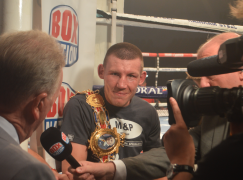 The wait was worth it as the Welshman was certain Hearn’s route was the one to head down once he explored all available options for the next chapter of his future. Cordina said: “Obviously, I missed out on London [2012 Olympics] and I knew then, it was something I had to do, go to an Olympics. The main goal was to get to the [2016 Rio, Brazil] Olympics and when I qualified, it was to medal. I come up short and I didn’t achieve what I wanted to over there. As soon as I finished the Olympics, the goal was always to turn pro. I couldn’t wait another four years to try for another Olympics and a medal. 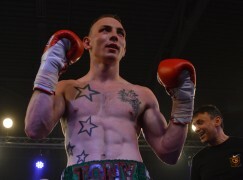 First up, the 25-year-old will head north to Liverpool’s Echo Arena for his professional debut on Saturday, which will take place 200 miles and a five-hour drive away from his hometown. Cordina, who had a number of five-round fights in the professionally styled World Series of Boxing [WSB], is keen to get going with a pair of four rounders and he’s happy they’ll be far shorter trips than where some of his final amateur outings happened. He said: “I’ve been around Anthony Fowler [World Championships and Commonwealth Games medallist] and a lot of the Scouse boys for a long time. I’ve build up a relationship with a lot of Scouse people and they’ve become fans. “It’s great in Liverpool, they love their boxing. They’re not just football fans, they love their boxing and they’re arguably the best boxing fans in Britain. 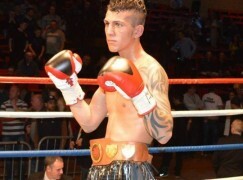 It’s going to be a great atmosphere as well in the Echo Arena and I can’t wait to put a show on. Cordina’s second professional outing will take place just a week later at London’s Wembley Stadium. It’ll be on the most high profile stage possible – the undercard of Anthony Joshua’s IBF and WBA unification clash with former heavyweight ruler Wladimir Klitschko. Around a million people are expected to purchase the Sky Sports Box Office broadcast and 90,000 fans will pack out one of the world’s most iconic venues. Cordina’s slot on the show’s schedule will be decided by drawing straws with two other ex-Olympians, Josh Kelly and Lawrence Okolie. Opponents for both outings are yet to be officially confirmed and Cordina’s trying his best to put Wembley to the back of his mind for now. He said: “I’ve thought about it a little bit but nothing major. I try not to think about Wembley Stadium; how big it is, 90,000 fans and all this. It’s a massive occasion and it’s a massive part of my career, especially in my second fight but I’ve got a job to do first and that’s on Saturday. The recently launched ‘NXTGEN’ series provides up-and-comers with a platform to gain experience, bringing more focused coverage from television outlet Sky Sports. Cordina, whose old stablemate Sean McGoldrick has also turned over with Matchroom, wants the concept to be brought to Wales in the near future. He said: “Hopefully with these Next Generation shows that Eddie’s doing, we can bring one back to Cardiff. Hopefully, I’ll be headlining it and it would be nice to do that in Cardiff where so many people want to watch me fight. 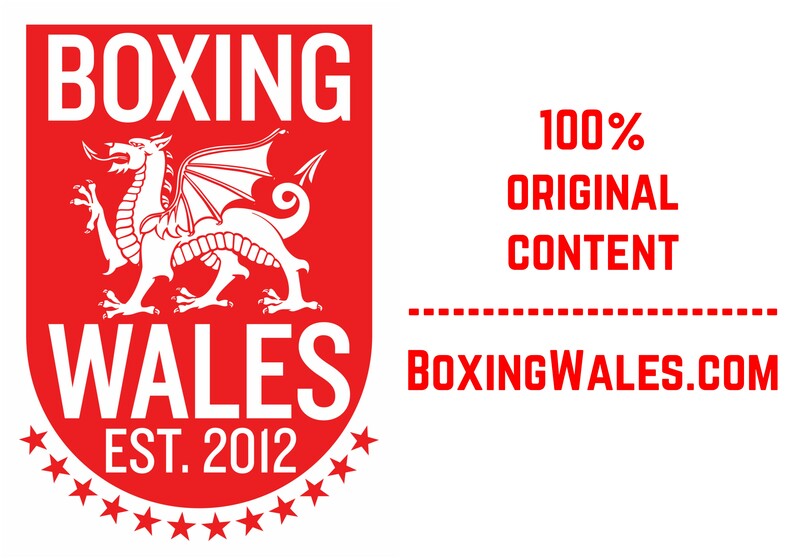 It would be great, it would be a good time for Welsh boxing because a lot of the up-and-coming boxers could jump on it and showcase their talent. Cordina’s senior fights in the unpaid code took place at lightweight (60KG) and he will fight in the super-featherweight division as a professional. With just two pounds difference when the weights are converted from metric to imperial measurements, he doesn’t expect to feel any extra pinch but does rule out a move further south to featherweight. Cordina said: “With the day before weigh-in, it just makes sense. It’s an extra little bit but you’ve got to think, you’re training for longer as a professional. The sessions are way longer, two hours sometimes, so you’re naturally going to burn more fat and lose more weight. That little bit of weight at the end shouldn’t be a problem. How far will he make it up? That question remains unanswerable for now and there are many steps still to be taken. Cordina’s committed to providing a positive answer, whilst flying the flag as high as he can.